Acacia Ridge Hotel in Brisbane has sold following an Expressions of Interest Campaign to a Sydney-based hotel group for $16 million. The high profile hotel occupies a 18,450 square metre landholding in Brisbane’s south-east growth corridor, offering a gross floor area of over 9,000 square metres- making it Queensland's largest hotel. CBRE Hotels Manager Glenn Price, who managed the Expressions of Interest campaign, said the hotel attracted significant buyer interest and was eagerly contested by hoteliers and developers from across Queensland and the southern states. “We were more than happy with the level of enquiry through the sale process, with buyers from across most states in Australia enquiring on the asset and playing a part in the EOI process,” Mr Price said. The sale marks the purchaser's first acquisition in the Queensland market and confirms the current strength of the Brisbane market. “There is an ever increasing desire from interstate publicans to enter into the Queensland hotel sector at what they perceive to be an opportune time,” Mr Price explained. “The hotel had a wide-ranging appeal to us given its location, size and upside to the current business platform," a spokesperson for the buyers said. The Sydney-based hotel group said when it comes to the future of the hotel, the size will enable multiple development opportunities. Mr Price said the hotel’s location was also a key selling factor. “The Acacia Ridge Hotel is situated within 10km’s of seven of the top 10 gaming hotels in Queensland, while it currently sits at around 120 in the state. In this regard, the hotel would be considered to have exponential upside in this area,” Mr Price explained. 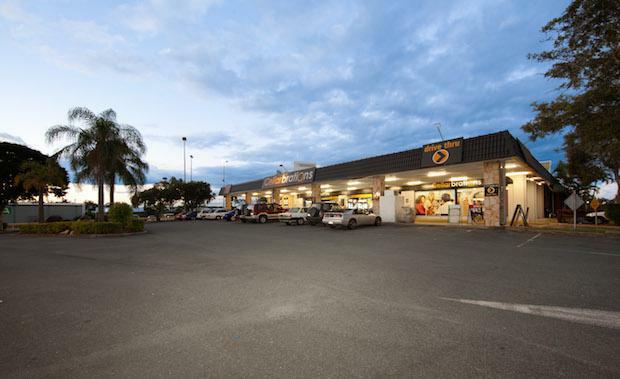 The Acacia Ridge Hotel has 40 Gaming Machine Authorities and features multiple bars, gaming room, functions rooms and a bistro, as well as a large, drive-through bottle shop, two detached bottle shops, 27 motel rooms and 233 car parking spaces.